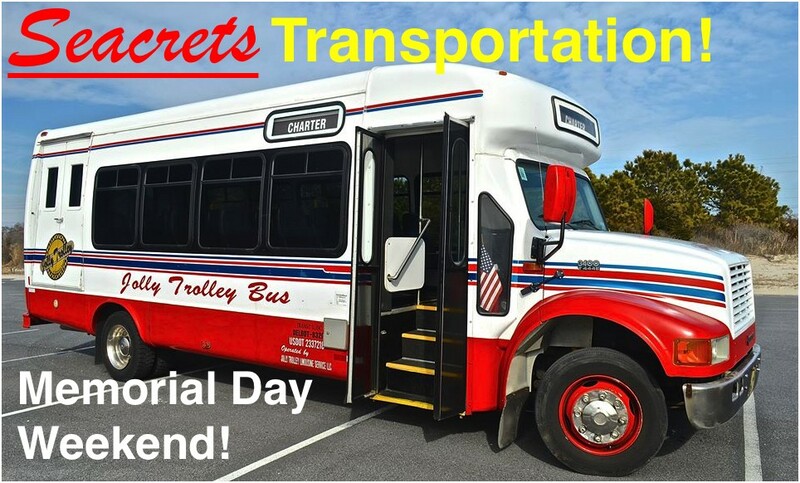 The Jolly Trolley Charter Service is providing scheduled Pay-Per-Seat transportation to & from Seacrets, Ocean City! *Physical tickets will not be needed at time of service - Once you have purchased your ticket(s) reserving your seat(s), and you have received your confirmation email from us, you are all set to travel! Our day-of staff will have the passenger list with the names of passengers who signed up for our Pay-Per-Seat service. ***Walk-ons are accepted, but seat availability will not be confirmed.